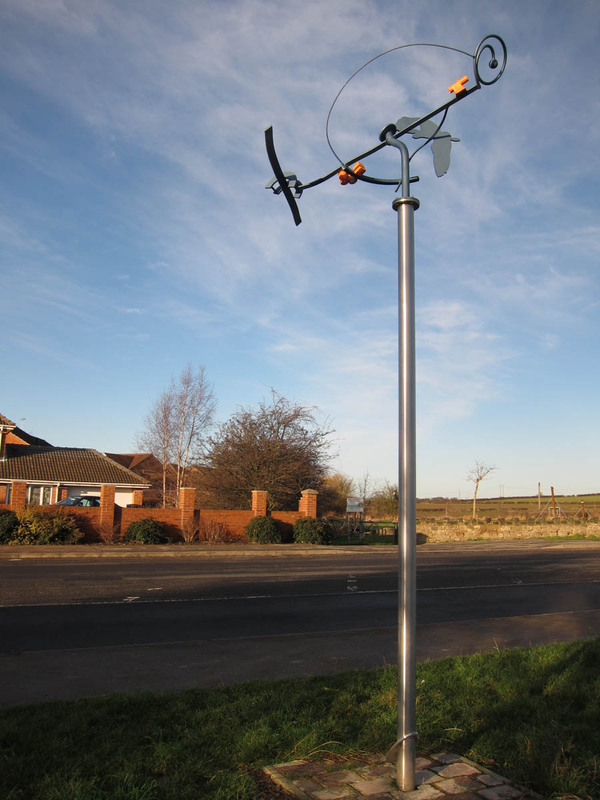 This is one of five public sculptures entitle ‘Birds’ Eye View’ placed at key points around the village of Laughton Common as part of its regeneration. 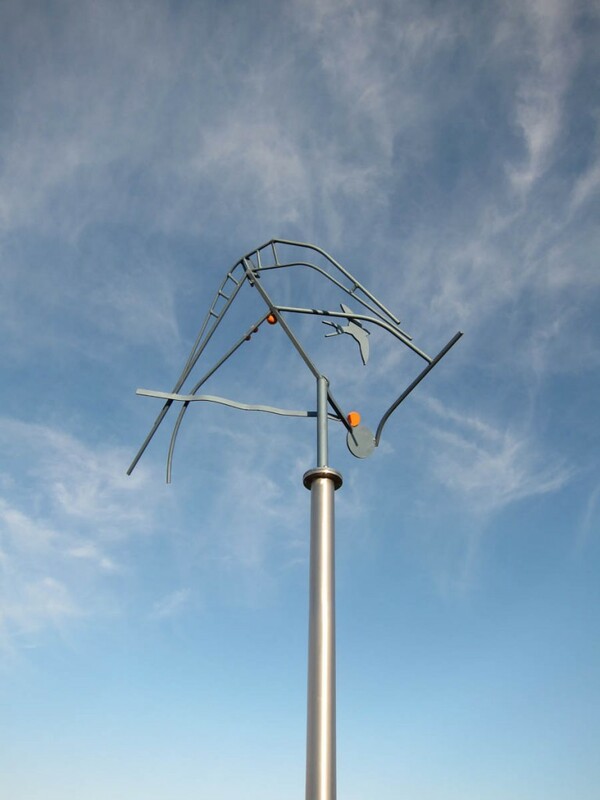 Gillian worked with the Parish Council, the Tenants and Residents Association and young people at Dinnington Comprehensive School to develop the concept and designs for the sculpture. Each sculpture is a different interpretation of the map of the village and also contains a bird seen locally. Commissioned by Rotherham Metropolitan Borough Council.